Hundreds of people gathered in Roundu village, Gilgit Baltistan, to protest against violations of political, economic and constitutional rights. The protesters called for freedom of speech, freedom of movement and the possibility to trade with neighboring countries. Hundreds of people staged a protest rally in Roundu village of Baltistan here, demanding `political, economic and constitutional` rights. They also demanded opening of international road links with Tajikistan and Ladakh. The call for the protest was given by Gilgit-Baltistan United Movement (GBUM), and Open the Frontiers Movement. Addressing the protesters, GBUM chairman Manzoor Parvana said people of the region wanted what he said freedom of speech, movement and an opportunity to freely trade with neighbouring countries. 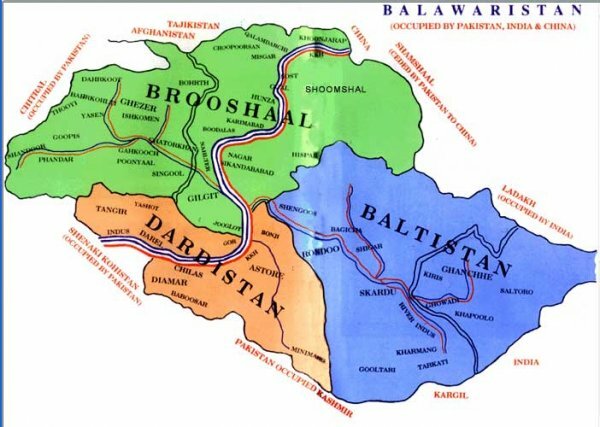 `If Punjabis of Punjab can trade with India through Wahga, If Balochis of Balochistan can trade with Iran, if Pashtuns of KP can trade with Afghanistan; why cannot the Baltis of Skardu trade with Baltis of Ladakh and why cannot the people of Gilgit-Baltistan trade with Tajikistan,` questioned Mr Parwana. Syed Haider Shah Rizvi, chief organiser of Open the Frontiers Movement, demanded of the federal government to open SkarduKargil road immediately so the people could look for alternative means of subsistence. `If the federal government doesn`t open the Skardu-Kargil road, we will not shy away from marching towards Ladakh, he maintained. Mr Rizvi also highlighted `political` and `constitutional` deprivations that the people of the region faced. He warned the government of initiating revolutionary rights movement from Roundu, if it continued `suppressing` the rights of the people of GilgitBaltistan. Activists of MQM, PML-N, PTI and other parties also addressed the gathering and criticised Prime Minister Nawaz Sharif`s visit to GilgitBaltistan as unproductive.